The September Ranked Play Season is now live – and we’re unveiling a new card back you can add to your collection! The demons of the Burning Legion have made their mark on Hearthstone with the delightfully infernal Legion card back! Add this beauti-fel card back to your collection by playing Hearthstone during the month of September. These card backs replace the art decorating the reverse side of your cards and are a great way to show off your Hearthstone accomplishments. 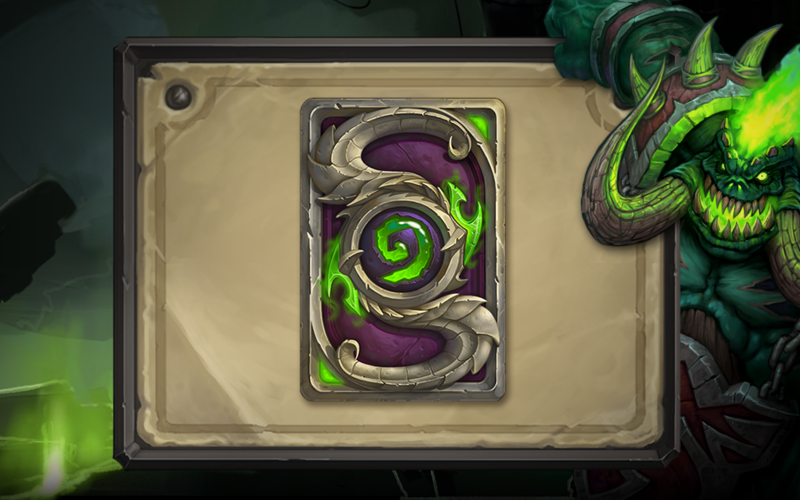 Add the Legion card back to your collection by hitting Rank 20 in either Standard or Wild Ranked Play modes. You’ll receive the Legion card back at the end of September’s Ranked Play Season in your Ranked Play reward chest. Go and show everyone that you ARE prepared in September’s Ranked Play Season, The Burning Legion!